Columbus, OH – CityScene Media Group, premier publisher of magazines in central Ohio, is excited to announce the newest addition to its line-up of top-notch magazines. Discover Grove City Magazine, the official publication of the City of Grove City, will mail its very first issue to homes on June 15, 2018. 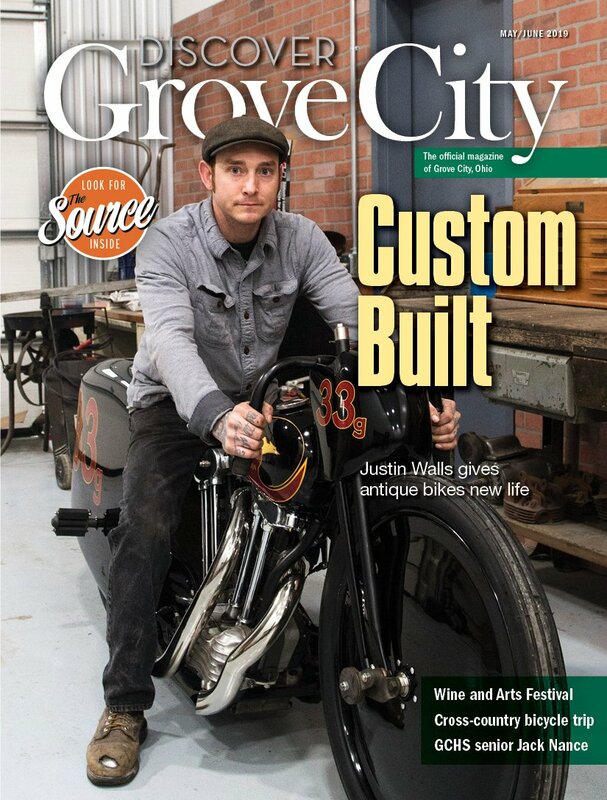 Like CityScene’s other community publications – Tri-Village, Dublin Life, Westerville, Pickerington and Healthy New Albany magazines – Discover Grove City Magazine will publish six times a year. Issues of Discover Grove City Magazine will offer in-depth features, personality profiles, previews of upcoming events and much more. Each edition will also include The Source, the bimonthly programming guide for Grove City’s nationally accredited Parks and Recreation Department. Call 614-572-1240 or visit www.cityscenecolumbus.com for more information. To inquire about advertising, contact Rocco Falleti at 614-572-1257 or rfalleti@cityscenecolumbus; or Gianna Barrett at 614-572-1255 or gbarrett@cityscenemediagroup.com. For editorial, please contact Jenny Wise at 614-572-1242 or jwise@cityscenemediagroup.com. CityScene Media Group (CMG) produces high-quality print and digital publications with compelling content in Ohio. In addition to its flagship arts and entertainment publication, CityScene Magazine, CMG produces HealthScene Ohio, a statewide magazine, and six community magazines: Dublin Life Magazine, Healthy New Albany Magazine, Pickerington Magazine, Tri-Village Magazine, Westerville Magazine and Discover Grove City Magazine. In addition to forging lasting partnerships with these communities, CMG also regularly works with area arts organizations, Chambers of Commerce and leading event organizers to produce event guides, chamber directories, visitors’ guides and other professional publications.